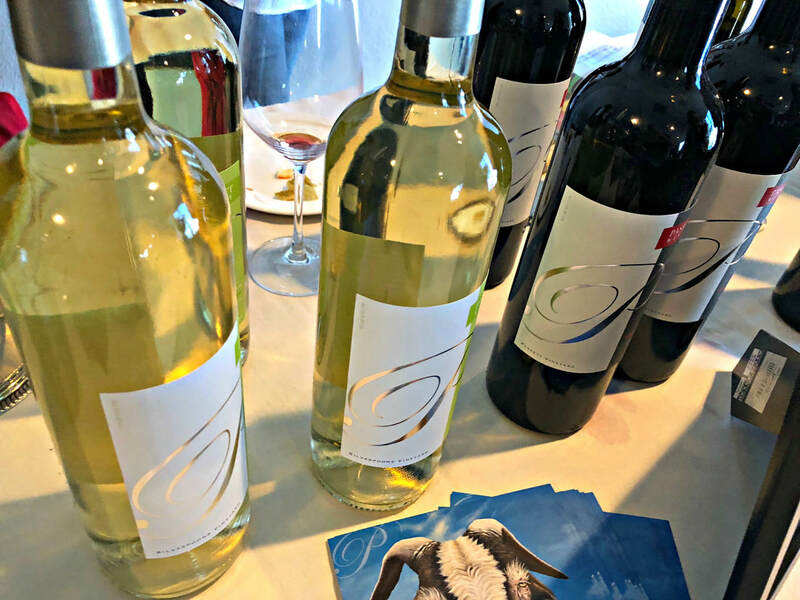 If I told you, you can drink good wine every day, without repeating a single varietal for over 100 days, that are distinctive, food friendly and delicious by the glass, and all at affordable prices, would you say “Sold!”? And if I told you, that all these wines come from one California wine region, would you believe me? 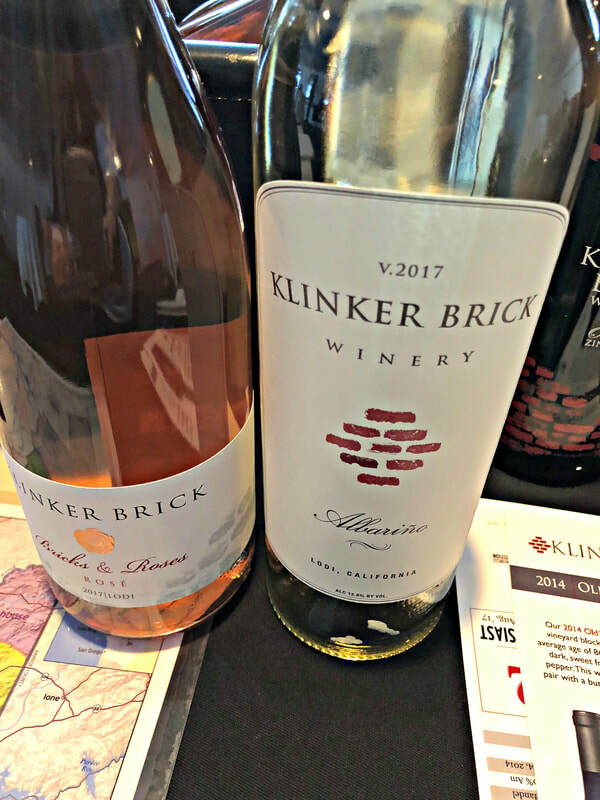 Lodi is at the epicenter of a wine explosion, where Italian, German, Portuguese, French, and Spanish varietals thrive, nurtured by almost 800 wine growers and finessed by more than 85 wineries into a booming wine business. Although two-thirds of its production is red wine, the future lies in their white wines, as more winegrowers realize the potential of their soils and climate. 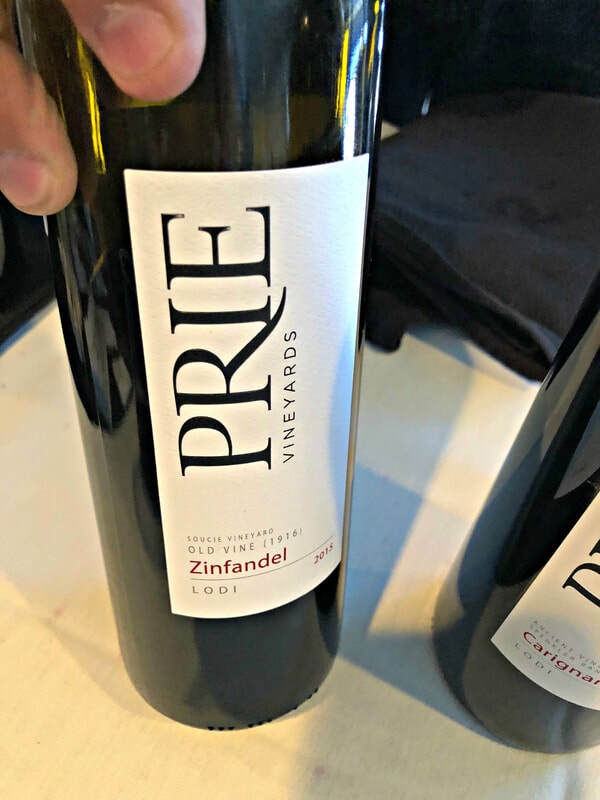 For over 150 years, Lodi had been primarily a winegrape growing region, but in the past twenty years, farmers have become winemakers, with surprising results. Last Spring, the wines of Lodi made a special appearance in Los Angeles, presented by WineLA.com. 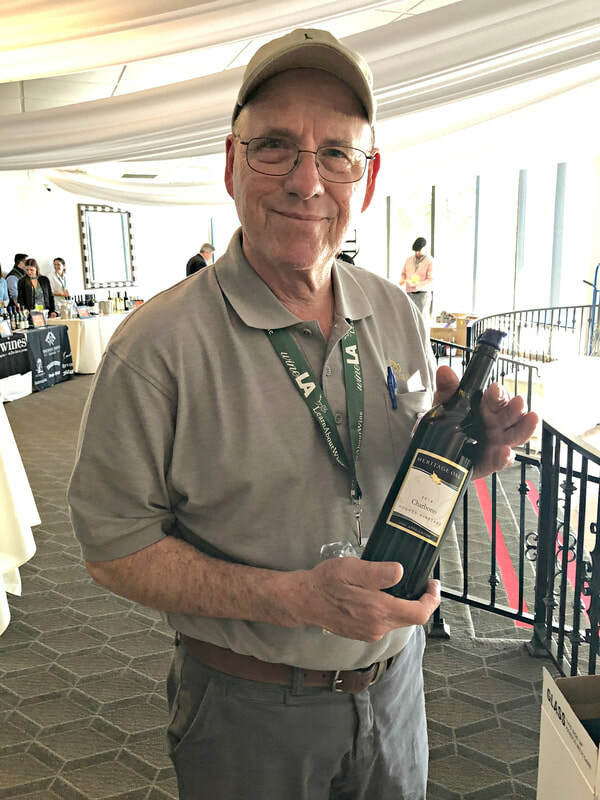 Billed as “Lodi in Los Angeles: Lodi Wines Rules”, sixteen wineries poured a diverse collection of wines, from the newer Spanish varietals of Albariño and Verdelho to their original claim to fame, Old Vine Zinfandel. 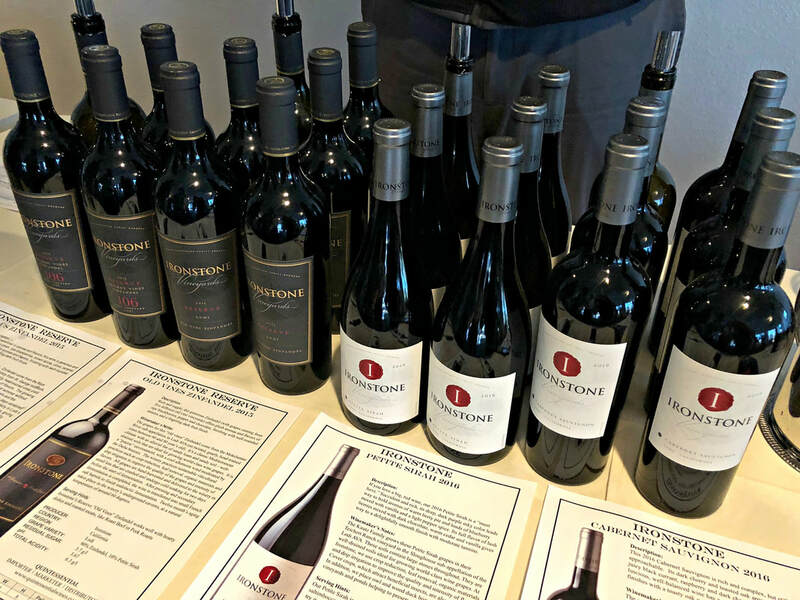 It’s an exciting time for Lodi wines, as evidenced by a “100 Varieties of Lodi” seminar, conducted by Stuart Spencer, winemaker for St. Amant Winery and the new executive director of the Lodi Winegrape Commission. 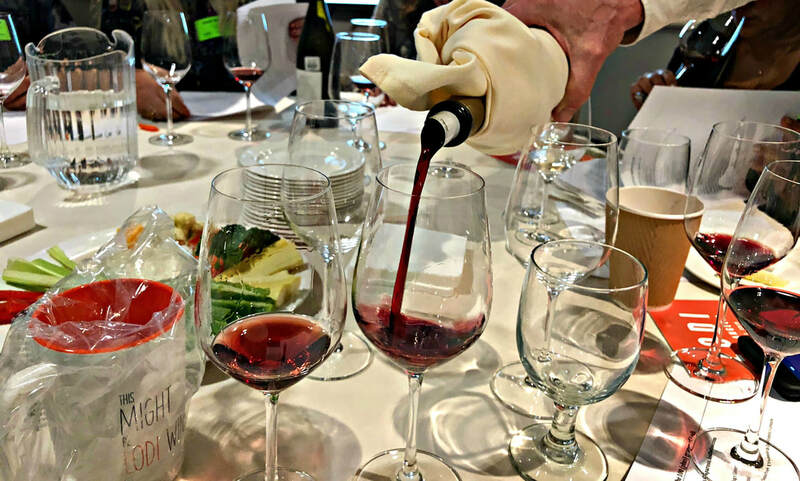 A blind tasting of eight Lodi wines stumped many attendees, not ever having tasted some of the more unusual wine grape varietals they represented. Have you ever tasted the Bourboulenc white wine grape from southern France? 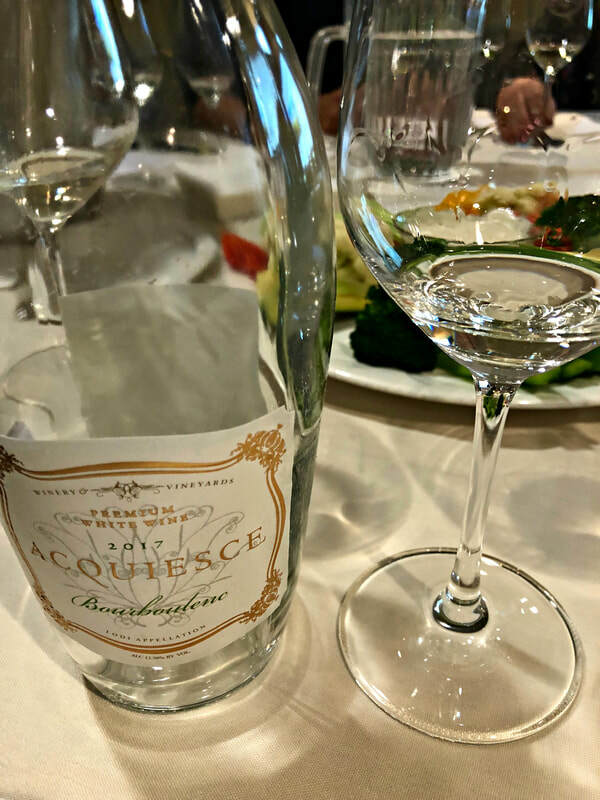 Produced by Sue Tipton of Aquiesce Winery & Vineyards, this very first vintage, the 2017 Aquiesce Bourboulenc, has a citrus/mineral focus, lighter in weight but zesty, a perfect summer wine. 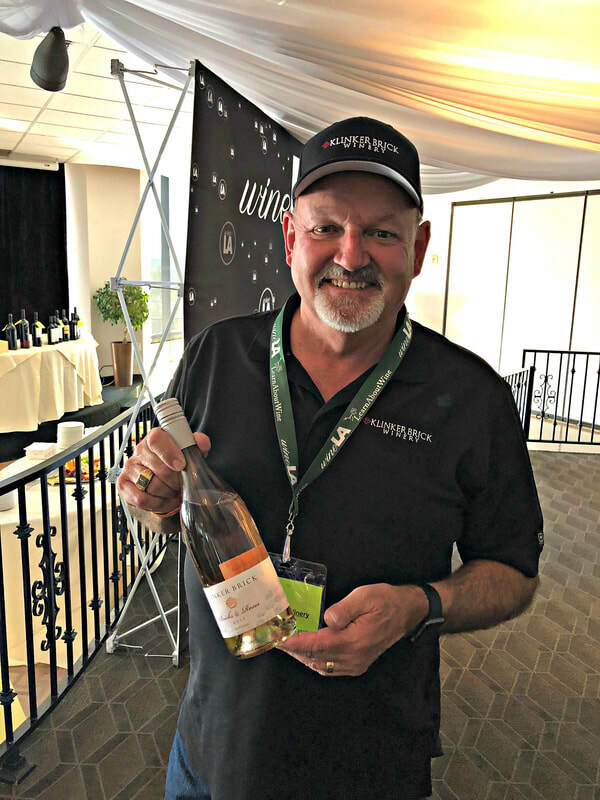 Tipton produces only white wines, a rarity for Lodi, and one rosé, all estate-grown and Rhône varietals, and no barrels involved in the winemaking process. 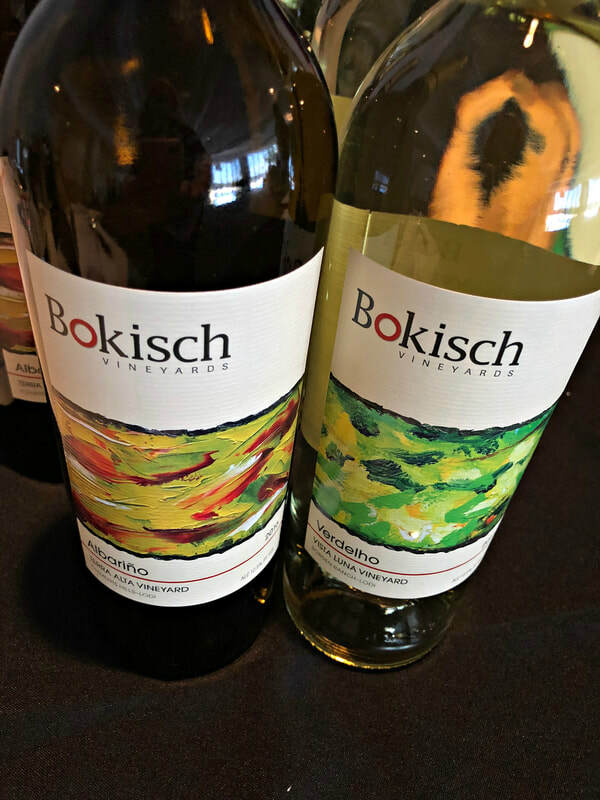 Vermentino and Verdelho may be familiar but not these versions from New World California. 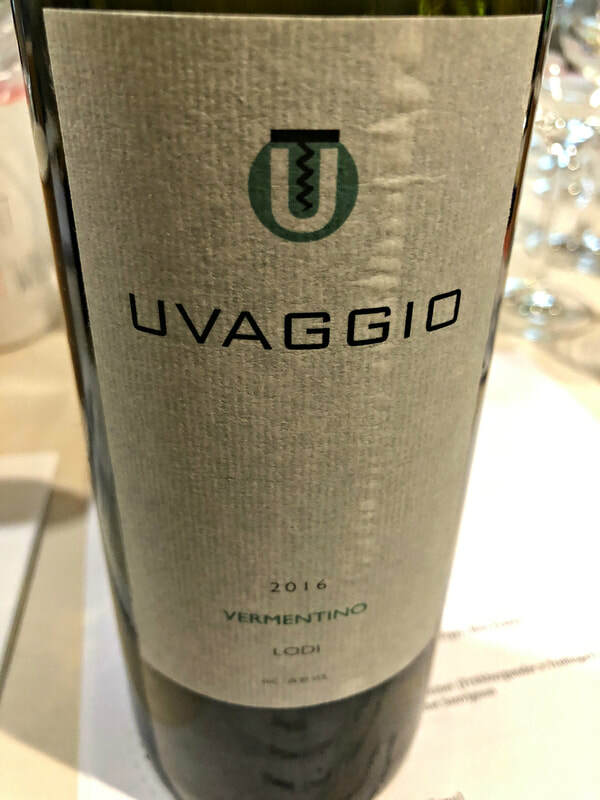 The 2016 Uvaggio Vermentino Bella Vista Vineyard is bright, with herbal aromas and citrus flavors, a very fresh white wine, while the 2016 Bokisch Verdelho from Vista Luna Vineyard is crisp but juicy, a zesty round white with apple, lime, and tropical fruit notes. Cinsault was originally planted in Lodi in the late 1880’s, but had fallen out of favor in modern times. But today, there is a renewed interest in this expressive red winegrape, whose perfumed and elegant wines offer bright red fruit and spice. 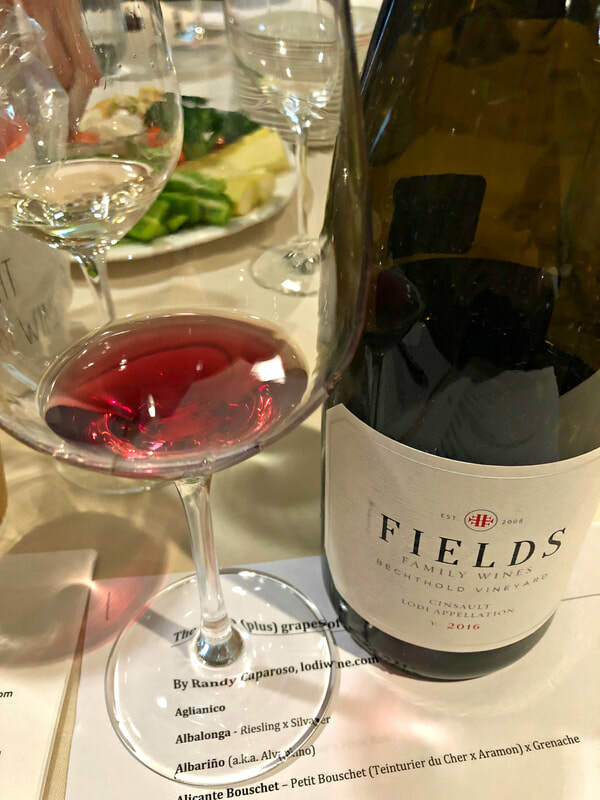 The 2016 Fields Family Cinsault Bechthold Vineyard is so complex, vibrant with lifted aromatics, made from the oldest Cinsault vineyard in the world, the Bechthold Vineyard, it’s a treasure. 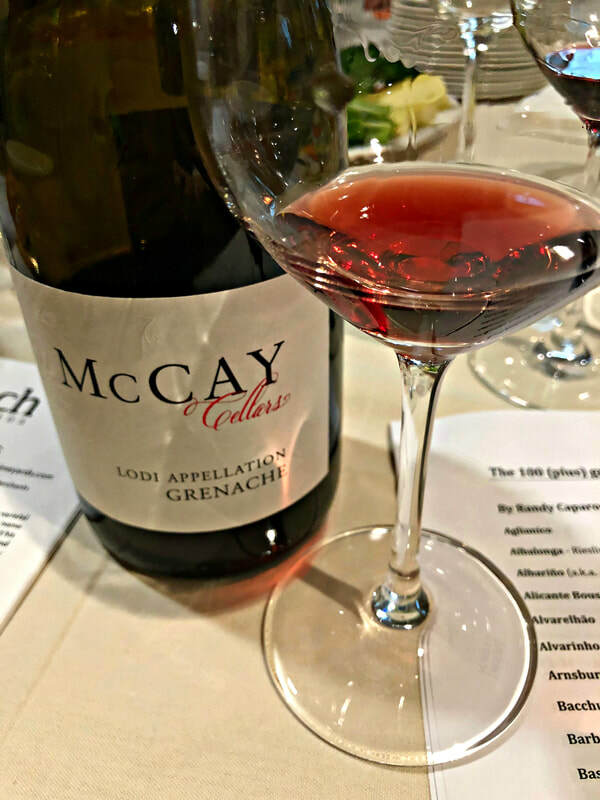 The McCay Cellars Grenache 2014 continues the theme of delicate red fruit and spice, with added oomph from plum undertones and brambly structure, while the LangeTwins Vineyards Montepulciano 2015 embraces its Italian roots, a meaty, earthy nose with dried plum fruit and spice, unfolding into a dense, velvety wine with a balance of acid and tannin. Dornfelder is another varietal you might not be familiar with, known for its inky color and firm tannins. 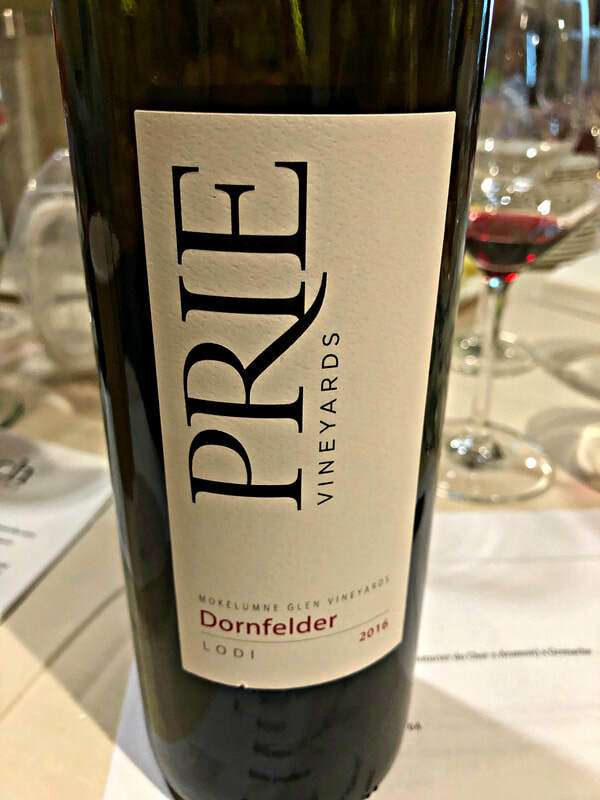 The 2016 PRIE Dornfelder Mokelumne Glen Vineyards is somehow more friendly, with its deep aromas of blackberry and coffee accompanied by a balance of acidity, alcohol, and tannin, so smooth and round, it’s like black velvet across your tongue. Carignane, once widely planted in California, is more rare these days, but Lodi is home to many old vine Carignane vineyards. Markus Wine Company sources its Carignane from the Borra Gill Creek Ranch, planted in the 1920’s. The 2016 Markus Wine Company “Domo", a blend of 75% Carignane, 15% Petite Sirah, and 10% Syrah, is reminiscent of a spiced cranberry fruit tart, deep flavor accented with clove and pepper, yet light on its feet, it’s a fascinating blend, although transparent red, has body and weight. 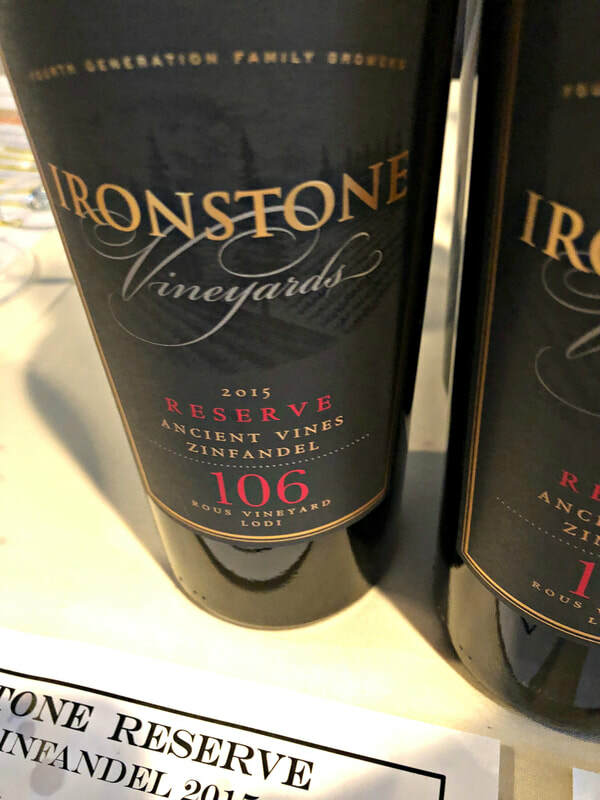 A few of the highlights of this tasting for me run the gamut, from Heritage Oak Estate Sauvignon Blanc 2016, to Klinker Brick Bricks and Roses Rosé 2017, to classic Old Vine Zinfandel in the 2015 vintages of Ironstone Reserve Old Vine Zinfandel and PRIE Old Vine Zinfandel. 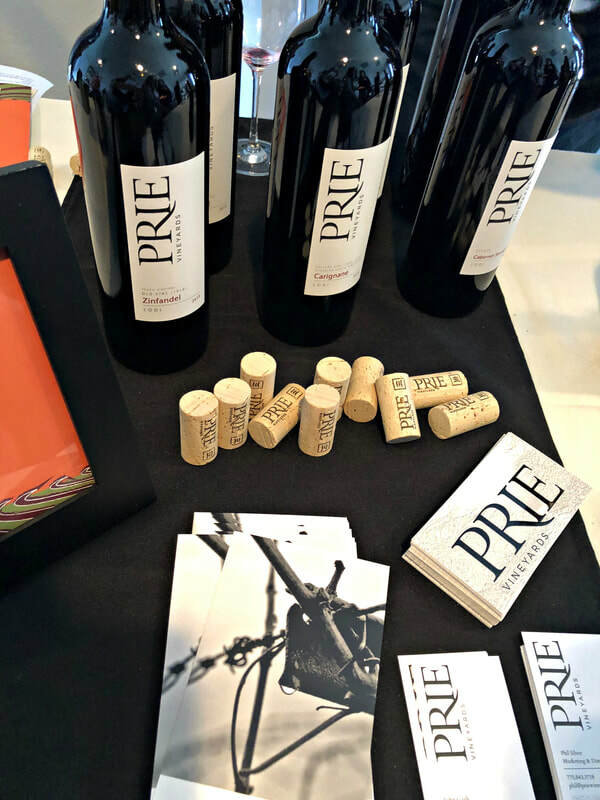 Another unusual varietal made into a beautiful wine, the 2015 Paskett Estate Charbono, and a fabulous expression of a popular varietal, the PRIE Estate Cabernet Sauvignon 2014. And while many wineries in the Lodi area are family owned for many generations, Scotto Family Cellars has blossomed into the 46th largest winery in the US, producing wine from Lodi and other wine regions throughout California, their Scotto Family Cellars Dry Sangiovese Rosé is young and fresh, with lots of juicy red fruit. Lodi has something for everyone, from crisp citrusy whites to full spicy reds. 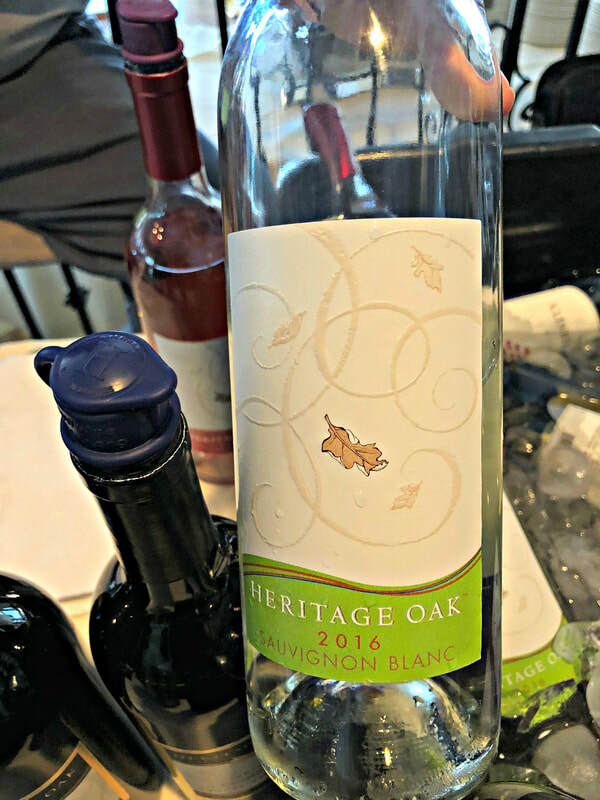 Named by Wine Enthusiast as the 2015 Wine Region of the Year, Lodi is a consistent producer of high quality grapes and wines, and has become energized by a newfound passion for discovering what Lodi is capable of in its incredible winescape. 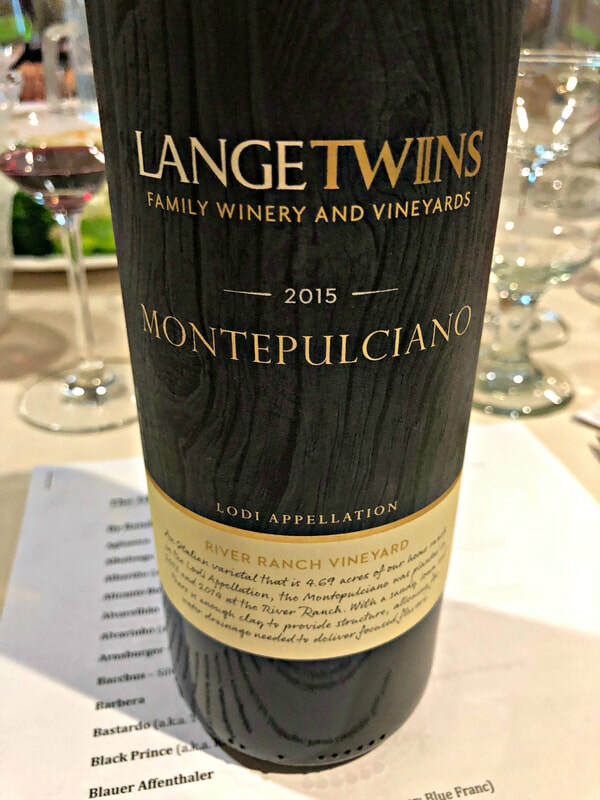 To learn more, click here for my 3 part deep dive into Lodi and its winemaking industry, fueled by family ties, focused on the future, yet rooted in over a century of wine grape growing, it’s a wine paradise, excellent wines at amazing prices.